Blade angles left and right up to 45 degrees in forward position and 30 degrees in reverse position: (7 Forward positions in 15 degrees increments and 5 reverse positions in 15 degrees increments) Many angles for diverse jobs and results. 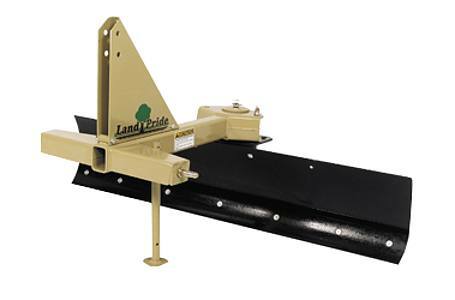 Blade offsets 12” left and right: Manually move moldboard to cover either tractor tire. 14” High rolled moldboard: Rolled moldboard allows material to flow easily, which means less drag, less HP. 1/4 ” Moldboard thickness Is just right for 40 HP work. 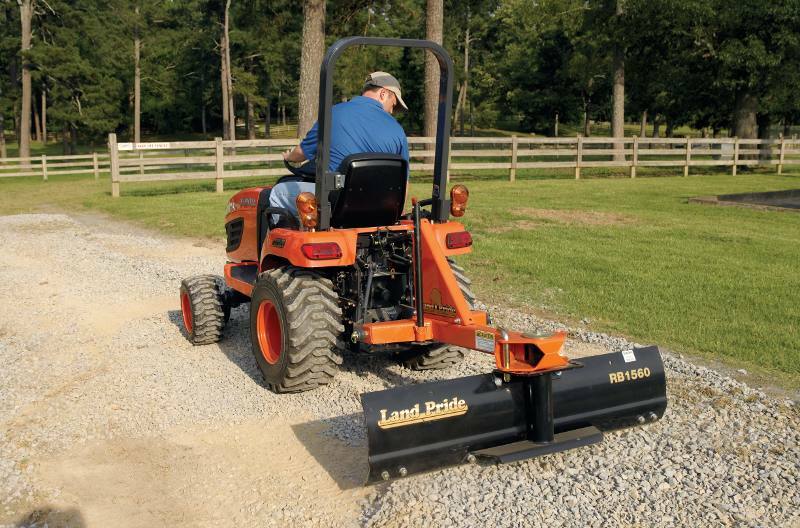 17-40 HP rating: Fits a wide variety of small tractors between 17 & 40 HP.